We would like to thank everyone who participated and interacted on the Ravelry chatter thread, used the #OneSkeinWonderlandCAL hashtag on Instagram, and posted in the Ravelry FO thread. We hope that you all relished the challenge of only using one skein, and were happy with the results. From hats to scarfs, socks to shawls, cowls to mittens… there has been a project from everyone within this CAL, and now when you buy, or get gifted a lovely skein of yarn; hopefully you won’t be so hesitant to chose a project for it. We hope that the FO thread on Ravelry will provide some inspiration and encouragement that you can make something wonderful with only one skein! There have been some absolutely stunning projects, and here are our winners. Using a random number generator, we chose 2 from the Ravelry FO thread and 2 FOs from the #OneSkeinWonderlandCAL hashtag on Instagram. @hayrie with her marvellous green Hilsborough crochet cable socks. Hayley has won two skeins of undyed yarn and a set of icing colourants. We hope Hayley enjoys playing around dying some yarn! Stephanie (aka tattedtatter) with her beautiful Boo Shawl. Stephanie has won the Accessories book by The Crochet Project, a lovely little book full of wonderful projects. Gill (@jpohren) with her lovely Calm cowl using Fjord Fibres yarn. Gill has won a gorgeous autumnal skein of Crafternoontreats yarn. We can’t wait to see what Gill will crochet with it! We can’t wait to host this CAL again THIS year! Thank you so much to everyone who got involved, and helped to create the FO thread which is now a lovely database for One Skein projects. Where has my Crojo gone? Well, it has been two weeks since I put a photo on Instagram or even picked up my crochet hook. What is wrong with me? This is unnatural for me. The thing is, I just haven’t felt myself… and I don’t know why. I’ve been having a think about why I feel like this, and I thought I’d share my thoughts. I want to be honest with you guys, and I want to share with you the good parts; but also the not so good. Social media means that a lot of us only get to see edited parts of each other’s lives, the tidy work-spaces, and uncluttered surfaces. Blemish-free skin and picture-perfect angles. This is all OK, and why would you want to share something that is not perfect? Why would you want to share with your followers when you’re not feeling yourself? I’m scared that this post will prompt a bad reaction – but I don’t want to be fake, and I think it’s important for us, as a community (that is generally really supportive and kind) to be honest with each other. This is kind of a therapy ramble, and I’m hoping that I’ll feel better after writing everything and getting it out. I may regret it once I’ve published though. Maybe it’s just January blues… but here are the things that I think are bothering me. I am on a diet (*lifestyle change*) eating mostly raw fruits and vegetables, and fresh foods. I have cut down the takeaways and the chocolates, no longer buying microwave meals and pre-packaged lunches. Opting for fruit and salad, whole grains and home-cooked food. This is absolutely brilliant for me; and I don’t want to turn it into a negative. Although I’m half feeling like I have more energy and half feeling drained and tired. I think my body is just going through a trans-formative period of figuring out that it needs to take it’s energy from different sources. I definitely feel refreshed and ‘lighter’ (not in a weight sense) and I know that what I am doing is so good for my health and happiness. All the CALs… How many CALs are there this month? 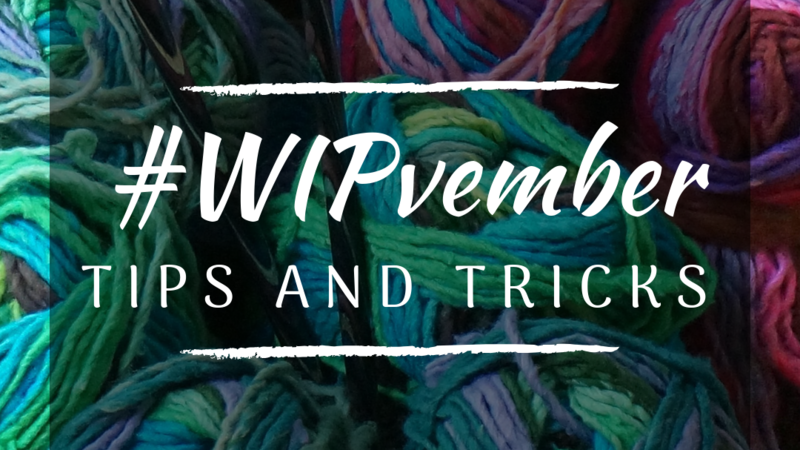 I already have too many WIPs, but recently I’ve felt overwhelmed by the amount of CALs I’m participating in and struggling to keep up. 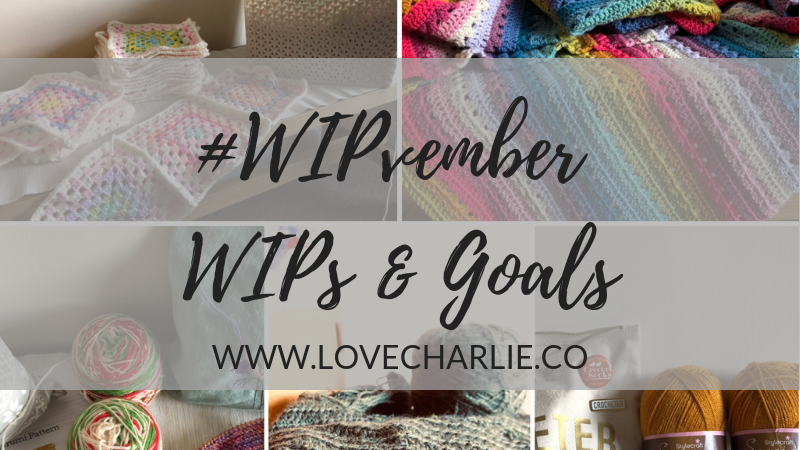 I currently have 2 WIPs for the OneSkeinWonderlandCAL, a shawl for the Olannandcrisscrosscal, and the Woodland CAL blanket… and a pair of socks I started a while back… and after counting how many WIPs I have all together, I feel overwhelmed. When I’m splitting all my time between 5 projects; it is hard to see any progress on any singular project. Also after having the Christmas break, and enjoying the time off crafting, I feel like my productivity has drastically reduced and pretty much come to a halt. SADs… well January has been cold, wet and miserable. The days are grey and drizzly, frosty and damp. The day’s are short, and the evenings even shorter. How am I supposed to feel optimistic, creative and energetic when the weather has such a draining effect on my mood? I think I need to finish a WIP to feel better. I know this sounds silly, but I think when I finish something, I’ll feel like I have accomplished something and achieved something small. I think this will trigger an upwards spiral to feeling more myself. When I finish one WIP, it will be one less WIP on the list, and one less project to split my time between. My plan is to forget keeping up with the Woodland CAL, and put it to the side until I finish my Cosy Stripe Blanket. It is a lovely blanket and the colours are stunning, however the stitch is slow-going, with every other row a row of dc in the front loop only. Much slower than both the Cosy Stripe and the Moorland CAL blanket. Quite frankly, I’m putting too much pressure on myself to keep-up with the weekly installments despite the fact I’m doing my own colour order. This is a WIP that I can pick up any time, so for now, it is getting put away until I have fewer WIPs on my list. I am going to leave the Simple Shawl I am knitting for the OneSkeinWonderlandCAL, and concentrate on the Triangle Infinity Scarf (which seems to be taking me forever!) – I think because it is single ply… In fact, I am going to make my aim for the rest of January to finish the triangle infinity scarf and put my other WIPs on hold. I want to finish the cowl, then my second sock… which means that I have the Cross Cross Shawl, and the Simple Shawl left as working-WIPs. (With only 4 days left of January, I doubt I’ll even finish the triangle scarf… but at least February should start with a FO. Today I’m spending the day at Liverpool Central Library with Katie. I’ve brought all of my to-dos with me, and I’m hoping some productivity will cure me. I have 2 new crochet magazines with me, Crochet Now & Simply Crochet, and I have commissions with me to work on. Lots of wool packed into a suitcase, and #OneSkeinWonderlandCAL admin to catch up on. 🙂 I am feeling positive about today – and I hope I can put the last fortnight behind me. It’s taken me a little while to gather my thoughts and sort out what I actually want to achieve next year in terms of Crochet, Knitting an AOCB (Any Other Crafty Business). I have compiled a few lists of various things here… so if you’re interested… this is what I’d like to achieve in 2018. Nb. These are personal craft targets and are not related to ‘Love Charlie’ i.e I’ve not listed my Instagram, YouTube targets and what patterns I’d like to release this year. That’s all going to be a surprise! Firstly, before planning what new things I’d like to make; I thought it would be useful to write a list of all the WIPs I have lying around the house. This took a little while, and every time I thought I was done, I found more hidden away. This is embarrassing and shameful. Here is my lest of all projects that are started, but unfinished. Wow… that’s 16 W.I.Ps. I’d like to say that by the end of the year I’d like all of these to be finished… but that’s not really attainable. Some of these will take a long time; and there’s 5 blankets in this list. I’m just going to try my best to reduce the number of W.I.Ps that I have. The embroideries are also going to take a long time, as generally, I only pick these up in Spring and Summer when the light is good. The next step in sorting out my scatter brain to try and figure out a plan for 2018, was to try and match the Yarn I already own to the Patterns I’d like to make in 2018. So, I think the easiest plan, as I’ve mentioned on previous blog posts – is to make a charity blanket by stash busting my Acrylic DK. This will be an ongoing, long-term project. That’s fine with me though, and I know that there is every chance I will be taking this project into 2019. I will use my Stylecraft, WYS, and Opal sock yarns to make Winwick mum socks, Vikki brown socks, and Rohn Strong socks; and of course I will use my Arne & Carlos yarn to make Arne & Carlos socks. When I get comfortable with making socks, I will start to use my hand dyed yarn, the River Knits ‘Shroom’, Fjord Fibres in ‘Epplekake and my Vicki Brown Yarn. The John Arbon was picked with the Doppio Colleseum in mind so that one’s an easy decision. The chunky alpaca and the Laceweight yarn is going to be used for Love Charlie Designs. So there we go… Here’s the general plan for 2018 WIPs. Over the next week or so, I want to create some kind of check-list or WIP-bingo in my bullet journal so I can visualize my progress. Sorry is this was a boring blog post! It took a while to put together, but is probably uninteresting to you all. With only 1 more day left of December (and of 2017!) I thought I’d show you what I’ve been up to. I’m also going to share some of my Tips for making goals in the penultimate days of 2017. I know a lot of you, like myself have a lot of motivation and like to set goals and resolutions in the New Year. I’ll share some of the methods I’m going to use for setting goals and targets. Here’s where it all went wrong. I wasn’t planning to make any Christmas presents; but in the end made 4. I didn’t plan to do Blogmas until the Christmas season started. I didn’t incorporate the time for Magazine submission work. Christmas is busy! and I underestimated the time that would be spent shopping/wrapping/preparing. December has been incredibly busy, and I didn’t realise how much I’d achieved until I consulted my bullet journal last night. I realised just how different what I achieved was to my original list of goals. I decided to make a new list for December; despite only having a few days left. I think this ordeal has been a lesson in trying to chose more realistic, achievable goals for myself to avoid feeling disappointed. Baggy 1st knitted sock ft holes… but I’m still proud! Measurable – Goals should be measurable; and if my monthly goal isn’t to finish a WIP, then the goal should be specified in terms of a measuarble goal. For example; finish a ball of wool, repeat a whole section of colours, reach a halfway point, make a particular number of squares/hexies/circles… etc. This way, it is easier to manage time and tick off goals when they are completed. Write down your goals so that you can tick, highlight or scribble each off as you achieve… believe me – it is very satisfying. Attainable – This is the one that I really need to consider when setting my goals. Is it attainable? There was no way I was going to finish my Cosy Stripe blanket in Decemeber. I haven’t even picked it up. Who was I trying to kid? I think I loved the idea of finishing it before the end of the year and having a little Christmas present for myself. I think this is the hardest part of setting SMART goals because you can both over and under-estimate what is attainable and also it isn’t ‘set in stone’ what you can achieve from one month to the next. I think it is important to take into consideration what other committments you may have for that period of time, and whether other distractions are likely. Time-based – They all are because they are monthly goals… so the time-goal is the end of the month. However if you are making goals for the year (like I will be for 2018) it is important to have a ‘deadline’ to keep you motivated. For example in Crochet I could say, I want to make the Doppio Colleseum Shawl before I go to the Edinburgh Yarn Festival so I can wear it. I hope you find some use in this random blog post. My failed plan for December has made me re-think how I should be setting my goals, and what better time to share my advice than the days before New Year when everyone is making new years resolutions. I hope you’ve all had a wonderful holiday. This Blogmas is going to be an ‘All about my Christmas’ blog post and I’m going to share all the yarny gifts I received… I’ll also share a few bits that I made as gifts too. I wasn’t going to make any handmade Christmas presents this year as I found it very stressful last year. This year I wanted to spend more time designing my own patterns and working on ‘Love Charlie’ however there was no compromise for a handmade gift and I still ended up making few. This year, I made a scarf for Katie themed on Gryffindor house colours, a winter wreath, a sprout Christmas tree decoration and a felt needle book. Katie absolutely loved her scarf, and I really need to make a needle book for myself. It is getting hard to part with them. 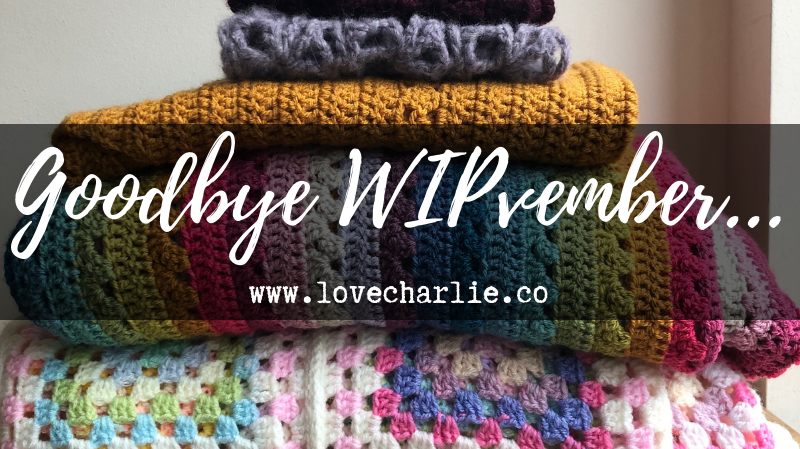 For some of you, it’s time to go back to work – luckily I have a few more days to enjoy some time knitting and crocheting, spending time with Katie and eating ridiculous amounts of chocolate before the New Year diet kicks in. Christmas Eve was the ‘calm before the storm’, the house had been tidied and cleaned (I mean I finally put all the craft supplies from Christmas preparations away) presents were wrapped and I had time to start my Christmas Eve Cast Ons for the ‘OneSkeinWonderlandCAL. Katie and I managed to binge watch the full 2nd season of the Crown in a day and it was so nice to be able to sit on the sofa in PJs drinking wine and actually relaxing – yes – relaxing. I thought I’d forgotten that word existed. Both of us have been very busy and stressed; so the relief of putting your feet up and turning your brain off was very well welcomed and appreciated. This year I spent Christmas with Katie’s family, swapping gifts, drinking copious amounts of alcohol and eating far far too much… all followed by singing Christmas songs merrily around the dining room table and Disney, 80s and 90s karaoke in the lounge. Dogs in Christmas jumpers, lots of yarny gifts, and my #OneSkeinWonderlandCAL WIPs to hand. What’s not to love? Usually I enjoy giving gifts more than receiving them, but this year I was very excited for my presents as I had only asked for wooly bits and bobs. I was given so much more than I ever imagined and I have been extremely spoilt. I have lots to keep me busy for a long time. I am very grateful and thankful to my friends and family for their generosity and thought for me. My next crafty venture is knitting; and knitting socks in particular. I asked for some of Arne and Carlos’ Pairfect sock yarn, Super Socks by Christine Perry, some short circular needles and DPNs. I was also given some wool wash and needle end protectors specially for circular needles. I literally have everything I could ever possibly need so there is no excuse. 2018 is the year to advance my knitting; and also have warm toes! Katie bought me some beautiful River Knits and Fjord Fibres hand dyed yarn, some Wilton icing colourants and a double stranded sock blank ready for New Year’s #Fridayisdyeday. My Nan & Granddad bought me a yarn swift, so I wound up my #OneskeinwonderlandCAL yarn in my enthusiasm. I also received the KnittyGritty book, a Star Wars Crochet set, and my Mum bought me the Woodland CAL yarn pack ready for Attic24’s CAL in the New Year. My Mother and Father in Law also bought me another year’s subscription to my favourite Crochet Magazine, Simply Crochet. Well, I sound like a spoilt brat now… and maybe I am.. but I’m a happy one – does that count? I hope you all got some crafty bits and bobs for Christmas – but more importantly, I hope you all got to spend valuable time with your friends and family over the Holiday period. On Boxing Day, Me and Katie went on a little trip to Liverpool in the afternoon. I bought this beautiful ‘project bag’ (supposed to be a cosmetics bag) from TKMax and it has a pocket on the inside perfectly sized for crochet hooks. This currently has 2 of my #OneSkeinWonderlandCAL WIPs in it so it is very roomy. We had a lovely Yo Sushi! meal and went home to do some online bargain shopping. Overall I have had an absolutely amazing Christmas, and I have so many new projects lined up; I’m going to have to do some serious planning to stop me from having about 50 WIPs at one time. I can’t start them all now; although the ‘force is strong’ – forgive me; I’m preparing for our Cinema trip to watch the new Star Wars… Katie is very happy with my Star Wars Crochet kit) Hahaa. What did you get for Christmas? Now that you know how to make a detachable pom pom… (Click here for the blog post if you missed it.) You may want to make a beanie hat to go with it. My aim was to buy three balls of The Women’s Institute Soft & Chunky Acrylic/Merino Yarn and make a hat and a cowl. I have designed both and still have a ball left; so I’m thinking about designing some simple chunky mitts to match. If you go to Hobbycraft, the yarn is very often on a 3 for 2 offer so I wanted to showcase some simple patterns that you can make quickly with three skeins or effectively £8 (When the 3 for 2 offer is on) Hobbycraft is a UK based craft store; so if you’re in another country, any other chunky yarn will work. either 100g or 110m. If you need to make a last minute Christmas present, this hat can be crocheted in under an hour… and is a brilliant pattern for a beginner crocheter. Crab stitch = rdc (reversed double crochet) worked backwards in reverse direction to the rest of the hat. Optional. Attach detachable pom pom using a snap fastener sewn to the top of the hat. This pattern has not been tested. Please kindly let me know if any amendments are required. Nb. This post is neither endorsed nor sponsored by Hobbycraft or The Women’s Institute. I just wanted to demonstrate what you could make using their 3 for 2 offer. (If Hobbycraft or The women’s Institute by any chance come across this post and would like to get in touch, please email lovecharliecrochet@gmail.com) Click here for Hobbycraft Website. 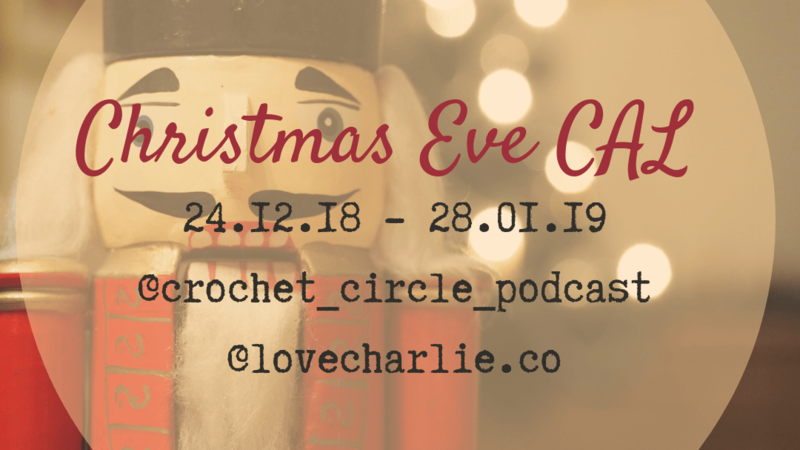 The third Blogmas post is all about the #OneSkeinWonderlandCAL which is the Christmas Eve cast on that Fay of The Crochet Circle Podcast and myself are co-hosting. 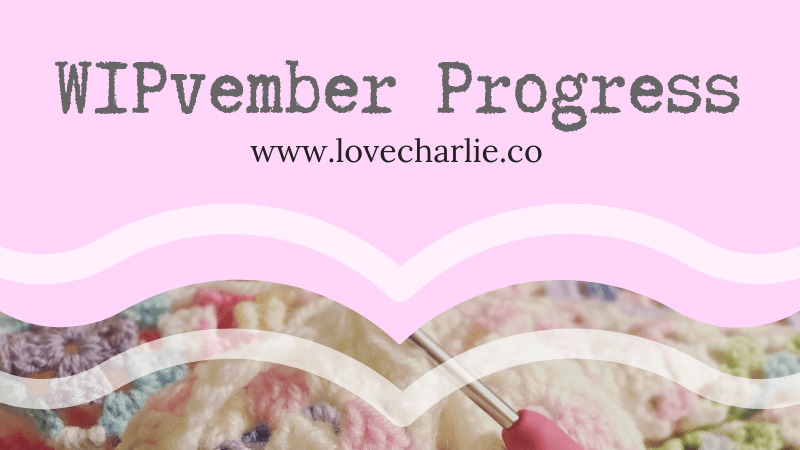 The challenge is running from the 24th December to the 31st January and there will be 3 giveaways chosen at random from the FO thread on my Ravelry group ‘Love Charlie Crochet‘. Whether you celebrate Christmas or not, and whether it’s winter or summer in your country, you’re all invited to take part, and that is why we have named our CAL #OneSkeinWonderlandCAL and not ‘Christmas-Eve Cast On’ despite the start date. Whatever your religion or beliefs, get involved with some yarny fun this Holiday season. Christmas Eve Cast on’s are quite common nowadays, but we wanted to make it extra special and challenge you to use a 100g skein of yarn that you have had in your stash for quite a while, or a special skein that has been gifted to you for Christmas. If you’re lucky you’ll get to open one early so you can start on Christmas Eve. Often I get gifted a ball of wool at Birthdays and Christmas’ but it gets left in the stash because I don’t know what I can make with just 100g of yarn. And when I do buy yarn for myself, I tend to over-buy because I worry that I’ll run out. Is this a common worry? Sometimes I even see one skein that catches my eye at the wool shop and buy it impulsively but don’t have any clue what I’m going to make with it. With the #OneSkeinWonderlandCAL, we want to see how many different projects you can come up with that use only one skein of yarn… so next time you have that special skein… or an impulse buy (come on, you know we all do it) you can start a project straight away without hesitation and avoid condemning that beautiful skein of yarn to the stash for who knows how long! As part of the CAL, Fay has held a giveaway of a gorgeous hank of Norwegian sock yarn hand dyed by the very talented Gilly of Fjord Fibres. The winner was chose randomly on Instagram and the lucky @alicecloseknits has won! Well done Alice. You now have a fantastic skein to get you started with the CAL. Fjord Fibres have some gorgeous colours, check out Gilly’s Etsy store here. Fay has a beautiful hank all wound up into a perfect yarn cake in the colourway Ice flow – it is stunning, and perfectly captivates the colour of Glaciers. I have also bought a hank in the colourway Petal power and it’s soft, pretty colours are making it hard to not wind up and start now. Gilly has been holding a special advent on her Instagram, so if you like the look of her yarn head over to @fjordfibres to check for today’s discount offer; and get a hank (or two) for your #OneSkeinWonderlandCAL challenge. At the end of January, three winners will be chosen randomly from the FO thread. Make sure to upload your pictures to the thread to be in with a chance of winning. Head over here to view the chatter thread; the more voices the better. Head here to view the FO (Finished Object) Thread. We would also love to see your pictures on Instagram using the hashtag #OneSkeinWonderlandCAL, but make sure to enter your FOs onto the FO thread on Ravelry to be in with the chance of winning a prize!